To those not in the know (and hey, who can blame you, since certain events occurred outside the Hulk's own book? 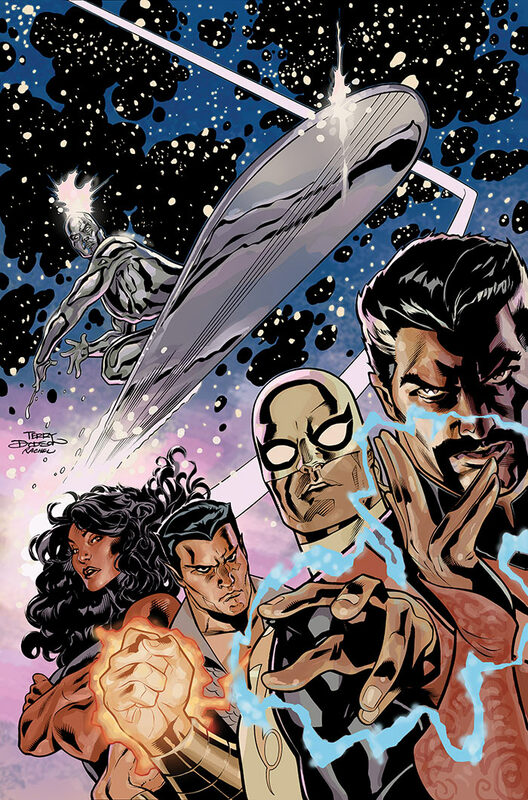 ), one of the last times the Defenders assembled to fight evil, they tried to halt a scheme whereby Dormammu and Umar conspired to defeat Eternity and remake the universe in their loathsome image. In the story--written by J.M. DeMatteis & Keith Giffen of Justice League International fame--the Hulk was--ahem--seduced by Umar. He lasted all of a few minutes before collapsing, and changed back to a more-mellow-than-usual Banner. Take from that what you will. Thanks to the wishing well created by A.I.M. 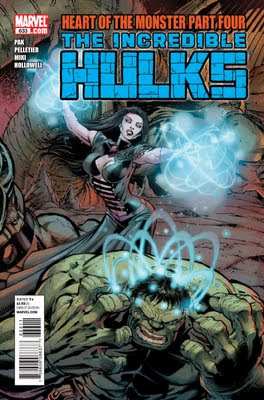 Scientist Supreme (and Banner's ex) Monica Rappaccini and appropriated by Banner's other ex, Red She-Hulk, Umar has returned to plague the Hulk. 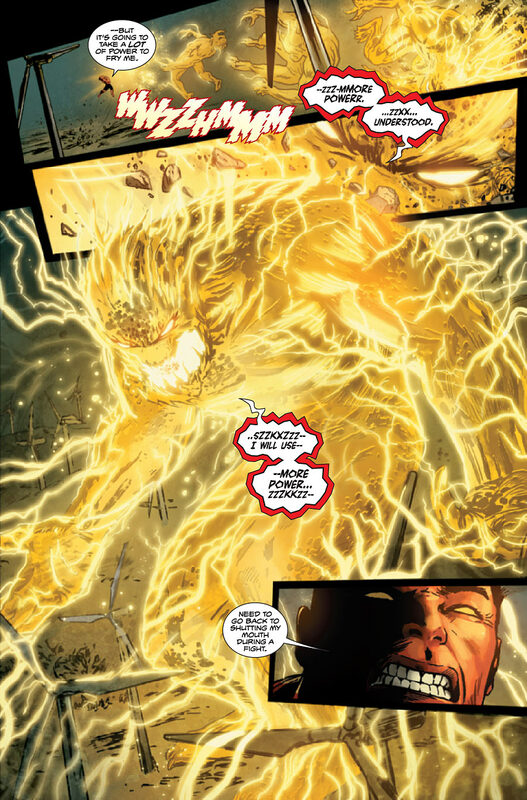 Or rather, it appears, to help him burn off all that Worldbreaker energy he's built up from seeing his friends poisoned by Arm'Chedon last issue. As result, the entire issue becomes less a focus on the Hulk--who's far too happy to care about anything else, too happy to even speak--and more a focus on Amadeus Cho and friends' efforts to track him down and put an end to this "wishing war" business posthaste. 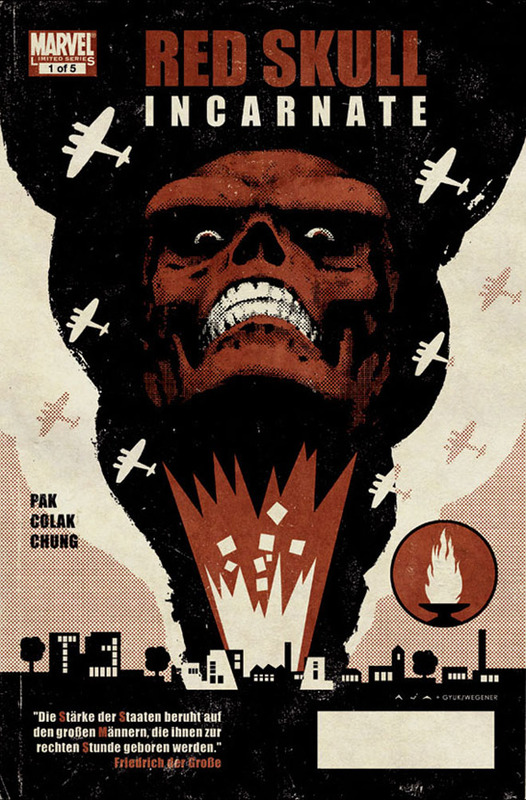 So powerful is Pak's ongoing narrative that I didn't even realize Hulk's placement as a MacGuffin until my third read-through! He functions as an object of the plot, taken by Umar, sought by Cho and friends, and apparently wanted for death by the other villains of the piece. 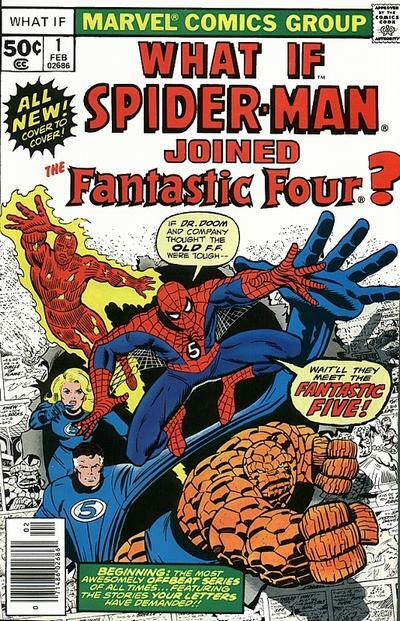 While it's not necessarily bad because, let's face it, the supporting cast is so well fleshed-out that you hardly notice, I still thought we were through with, for want of a better term, plot-device Hulk (TM). Still, the book succeeds on the strength of the other characters in the story, as well as on the immaculate artwork by Paul Pelletier, who with inker Danny Miki and colorist Morry Hollowell shows no signs of letting up in this end run. The art tells the story, sells the story, and otherwise makes "Heart of the Monster" even more of a compulsive page-turner than it would be without his involvement. Over previous arcs, Pelletier has shown he belongs among the upper echelons of Hulk artists--perhaps not nearly in the same breath as the all-time greats like Keown, Trimpe and Buscema, but awful close. Hampered by a story that for about the only time in Pak's tenure relegates the lead character to a thoughtless plot contrivance, this story should by rights earn a "Skip It" rating. However, buoyed by terrific artwork by Pelletier & co. and thoughtful characterization by Pak on the entire rest of the cast (including a guest appearance that makes total sense), I've got to bump up this story's rating. You've got to at least Read It. 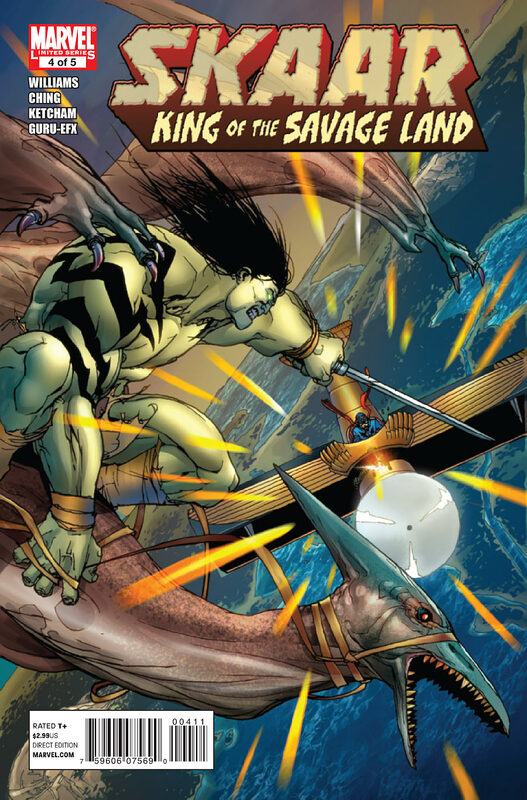 Thanks to a strong introduction by his creator, Greg Pak, Skaar blossomed from an eye-rolling, derivative idea into a legitimate character worthy of his father's heritage. 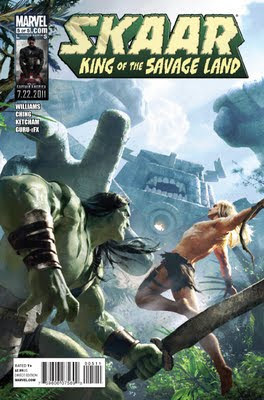 It's unfortunate, then, that the first writer to seriously tackle Skaar outside his creator would misfire so badly as in Skaar: King of the Savage Land. 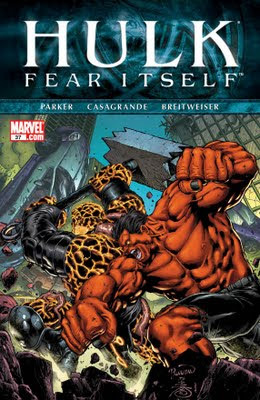 In this finale, the storyline, which has thus far been a Ka-Zar riff guest-starring the green-skinned half-breed, degenerates into a morass of unparalleled depths and is, quite simply, the worst thing to come out of the Hulk's corner of the Marvel Universe since Bruce Jones made Betty into the enigmatic "Mr. Blue" and the Leader into a giant brain in a jar. Am I being too harsh? I don't think so. Bizarrely, as much as this story is a Ka-Zar tale bundled up to fit under the Hulk banner, it's got elements that echo early Hulk stories. 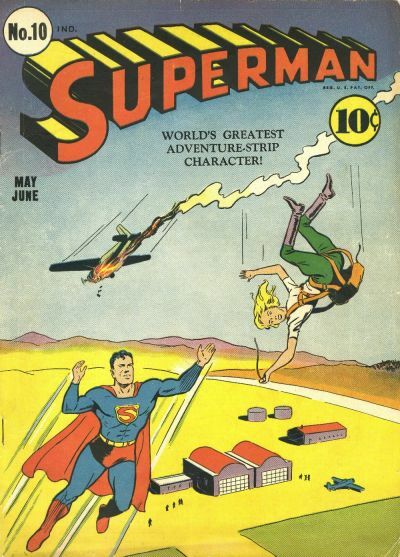 (Featuring Ka-Zar, of course.) 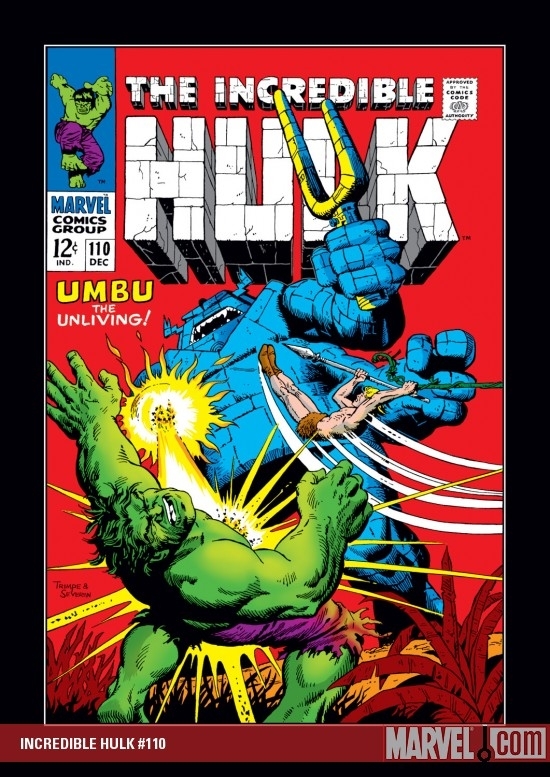 Specifically, it's got elements designed to attract fans of sixties Hulk artist Herb Trimpe, including the cover with its obvious homage to 1969's Incredible Hulk #110, the villainy of Umbu the Unliving (as seen on the cover), and a non-sequitur of a guest appearance by someone who seems to be the Phantom Eagle, one of Trimpe's favorite creations from WWI. 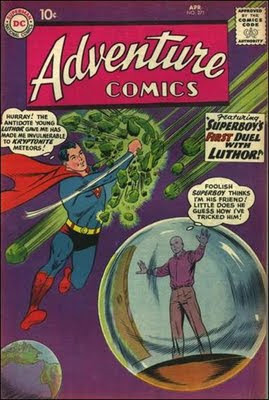 Add more, equally senseless appearances from prehistory's heroes Devil Dinosaur and Moon Boy, as well as western hero Kid Colt, then involve a wormhole that somehow sucked people in over the decades, and you have something more ridiculous. Finish the whole thing off with a blatant "look at me" cameo by Steve Rogers and the Avengers (including Red Hulk! ), and the issue feels like everyone's throwing whatever they can at the wall and seeing what will stick. And from out of nowhere--spoiler warning--Skaar saves the day in two pages (by tossing a possessed guy off a cliff to his death!) and Ka-Zar sees fit to crown him new King of the Savage Land. 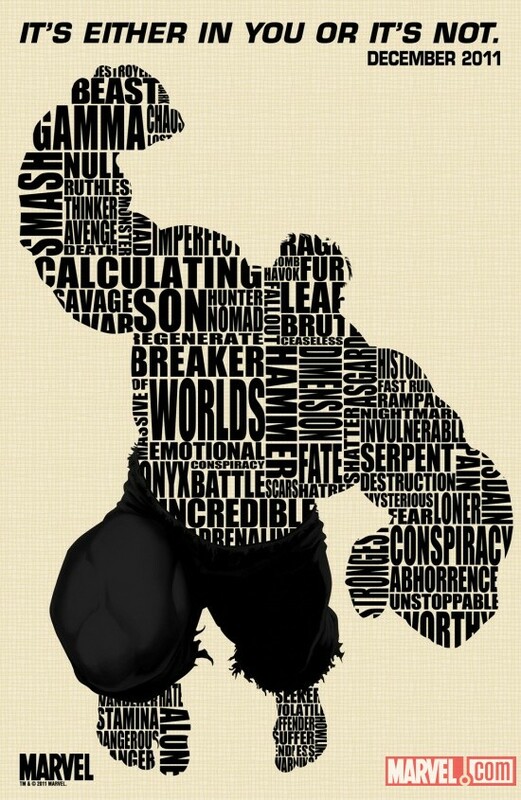 All's I Gotta Say (Until Later Today)... Hulk! Avengers! 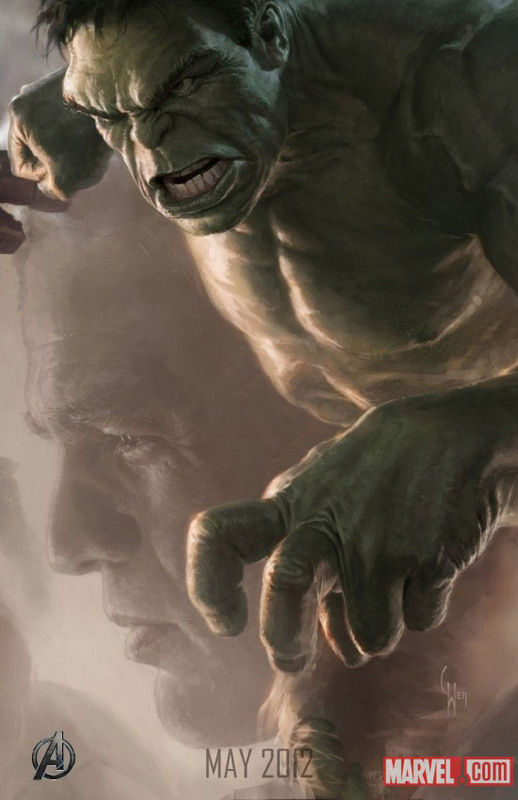 Behold the first conceptual artwork showing the Incredible Hulk, on a poster exclusively available at the Marvel booth at San Diego Comic-Con today. If they stick close to this model, I'll have no problem with the film. 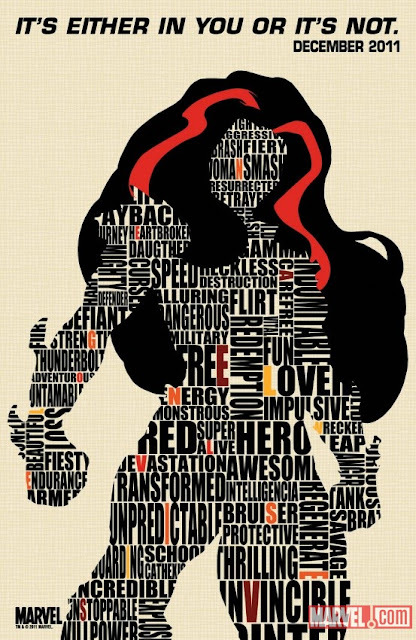 Does anyone wanna get me this poster at the show today? E-mail me at delusionalhonesty (at) gmail (dot) com and I'll gladly reimburse the poster price plus packaging & shipping. And if you can find a Hulk #42 ashcan edition to throw in, I'd also be greatly appreciative. See everyone at New York Comic-Con in a couple months. CBRevolution: Whatever Happened To...Marvel's Graphic Novels? 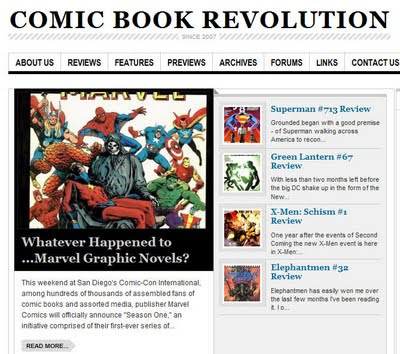 Thanks go out to Rokk of Comic Book Revolution, a comics news site with which I'm now affiliated! Today, you can find the first of (hopefully) many articles I'll be writing for the site. 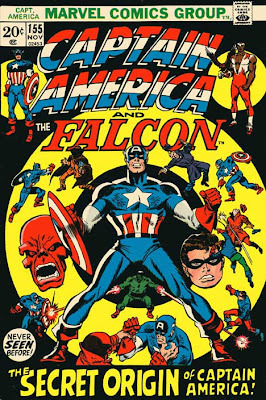 It's something I've been teasing for a while here, but am finally delivering: a retrospective on Marvel's series of original graphic novels from the 1980s and 1990s! Click on the picture link above and see what I've written--and then, bookmark that site and look at what Rokk, Andrenn, Jordan, Mark, Brandon and the rest of the guys are doing thataway! More hijinks on the perils of comics continuity over the weekend! The year was 1993, and writer Dan Chichester and artist Scott McDaniel were hard at work making major changes to the Man Without Fear! 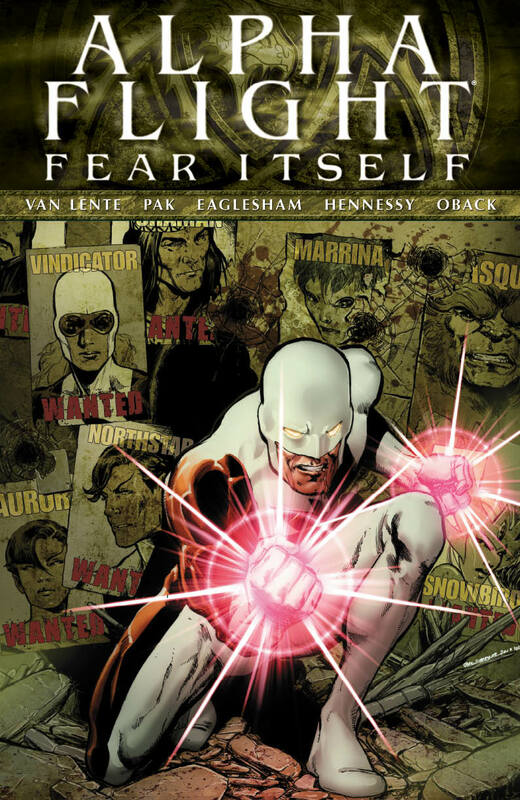 In "Fall From Grace," Matt Murdock's life was shattered. Add guest star after guest star to the mix, like Silver Sable, Venom, Morbius, and even DD's former flame Elektra, and you had a storyline that tried to be epic in scope. Early in the story, Daredevil obtained this new costume, an armored look, here illustrated supremely well by the talented Stuart Sayger at the Pittsburgh Comicon 2011. 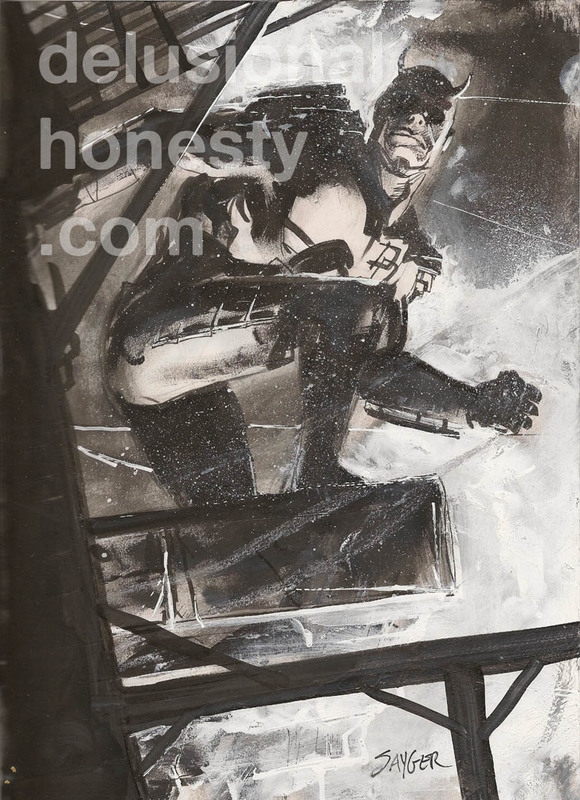 The Daredevil: Fall From Grace graphic novel collection is sadly out of print, but you can probably find it cheaply at amazon.com or eBay. 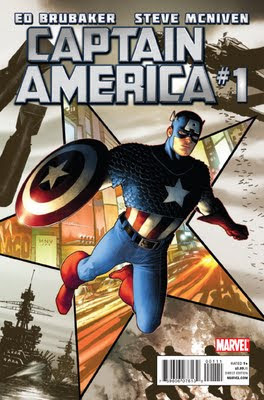 I hope one day Marvel re-releases the book, either in hardcover or softcover format. So, who wants to show some love for 1990s DD? Picking up where they left off three weeks ago, Greg Pak & Paul Pelletier masterfully craft another entry in this final stage of The Incredible Hulks. 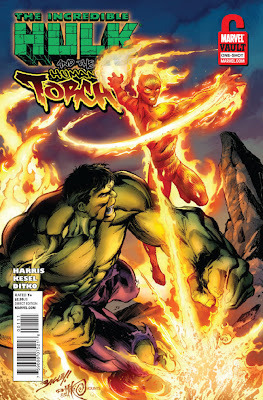 Whereas last issue centered on two villains in the classic Hulk mold (i.e. baddies that love to punch and hit for pretty much no other reason than to do so), this issue reintroduces perhaps the biggest threat of Peter David's tenure short of the Maestro himself: Arm'Chedon, the alien warlord first known as Armageddon. Like Bi-Beast and Wendigo, he too has been summoned thanks to the wishing well at the center of "Heart of the Monster," and he provides the most direct focus on the Hulk's family to date. 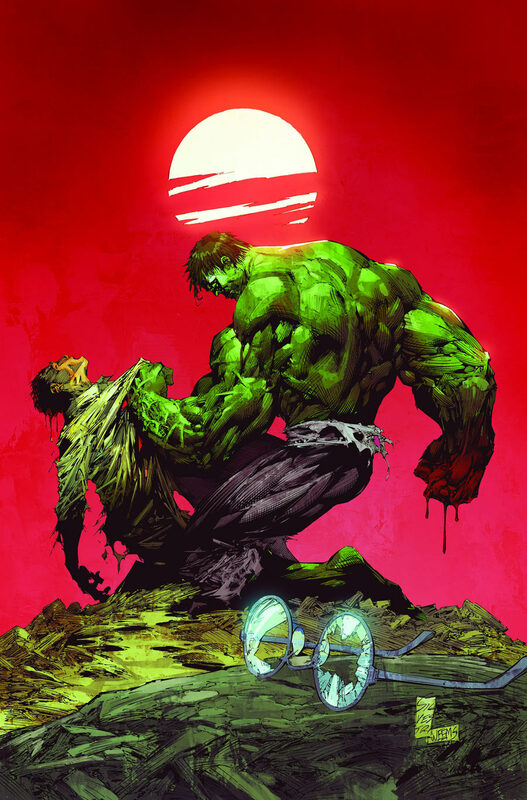 Y'see, back in the mid-1990s, the Hulk killed his son, Troh-Maw, and Arm'Chedon pursued the green goliath for vengeance. He tried to use the Hulk's strength to resurrect Troh-Maw, but his power was too much and as soon as he lived again, he died again. Hence it makes dramatic sense for the villain to target the Hulk's own family in his quest for vengeance, and the results are, unsurprisingly, incredible. 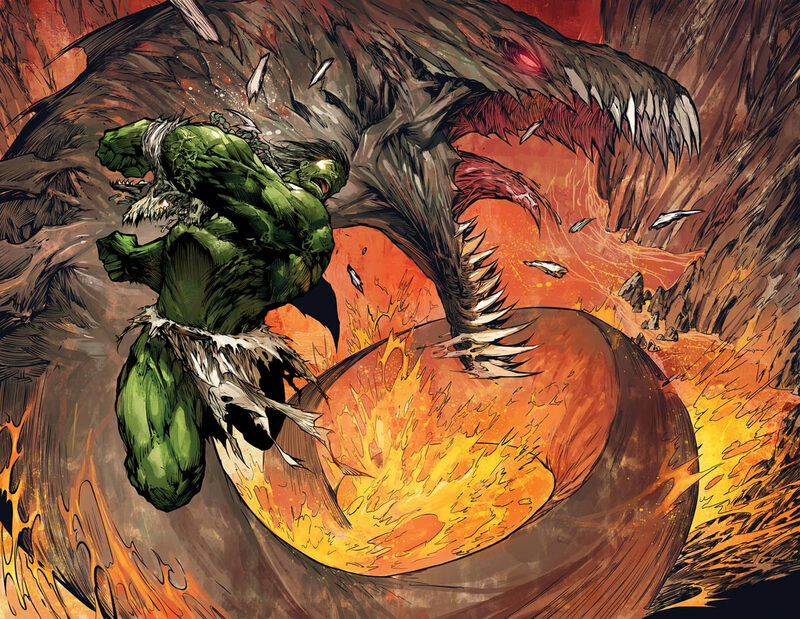 How angry do Arm'Chedon's actions make the Hulk. 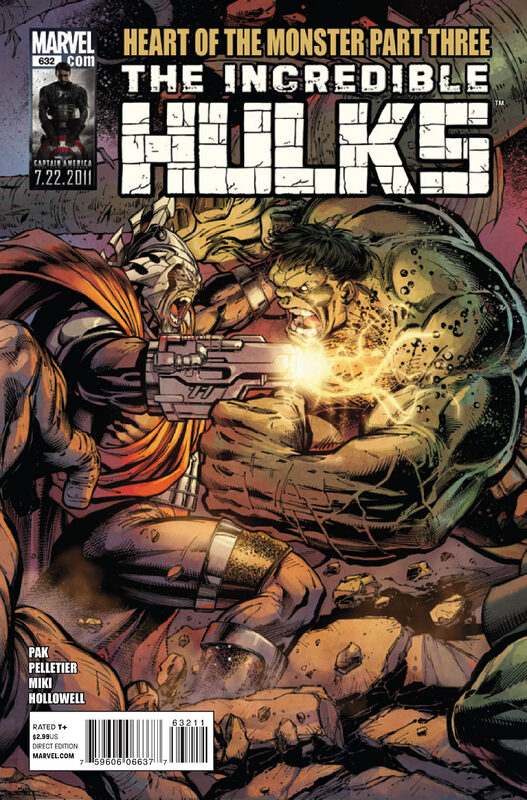 Probably as angry as you're thinking, which brings all Pak's themes stretching back to World War Hulk into the narrative. This time, however, he has his family and friends to back him up, which ratchets up the tension. 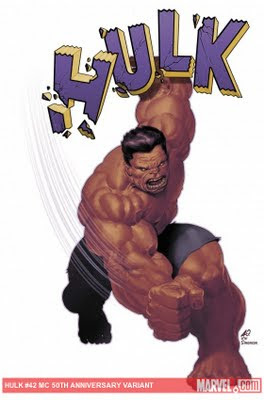 Seldom have the Hulk's struggles been so clear and so well-depicted. 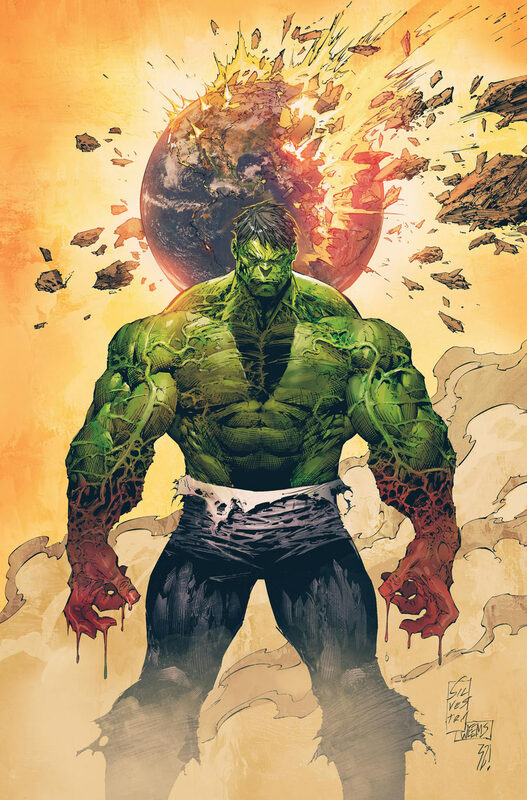 Thanks to Pak's grasp of the character, and the combination of Pelletier's brilliant artwork and Hollowell's verdant hues, I can safely say this is what the Hulk's all about. Like the Hulk himself, Pak's finale gets stronger with every issue, after an already-impressive start. For twists, turns, and a taste of everything that's made the Hulk great over the last five decades, "Heart of the Monster" is where it's at. Miss it at your peril. Buy It! Moving onward, some of you, my constant readers, have asked me to review Fear Itself; after all, the seven-issue limited series features the ever-lovin' Hulk as Nur, the Breaker of Worlds, wielder of one of the hammers that marks him as The Worthy. It's true that I have reviewed the first two issues, so why wouldn't I review the subsequent issues? 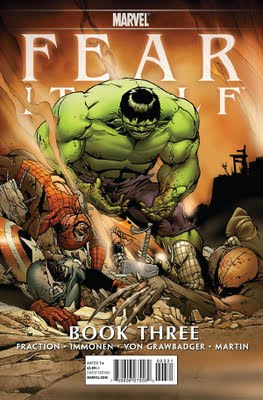 Maybe because it's not as much of a Hulk story as it seemed in the beginning? While we did get a few decent pages starring ol' greenskin in issue #3, the following story released last week featured him for all of four panels. (Okay, five, counting the preview page at the end.) No? 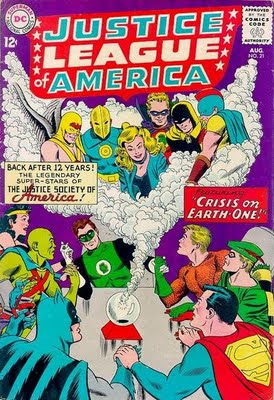 How about I voice my ever-growing disenchantment with the limited series as not being an event that's easily digested by itself, like, say, the original Crisis On Infinite Earths or even Secret Wars II or The Infinity Gauntlet? 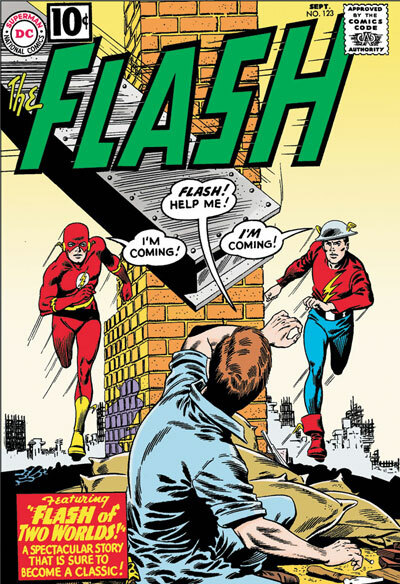 Whereas event miniseries of earlier vintage could be read by themselves with all the vital parts contained therein (and you could read the crossovers to truly "enhance" the overall experience), series like Fear Itself and its DC Comics counterpart FlashPoint seem to mainly exist to drive the larger event throughout the comics' mainstream lines, with many important plot points seemingly dealt with only in crossovers in which I have painfully little interest (and even less cash to spend on). Remember when I complained that nowhere in the main series was it shown how the Absorbing Man obtained his hammer? And how Attuma was never shown obtaining his? These are inexcusable lapses in storytelling that wouldn't have made it outside the planning stages if this were Jim Shooter's Marvel. And they're just the beginning. Writer Matt Fraction, who has been a decent writer in The Invincible Iron Man and especially alongside Ed Brubaker in The Immortal Iron Fist, only hints at large developments and then hastily refers readers to this issue or that issue where we'll find out what "really" happens when characters X and Y meet/talk/fightfightfight. At best it's an annoyance, and at worst it's just sloppy soap-opera writing (where you pause for dramatic effect and pick up later, leaving the resolution to said plot to the audience's imagination). Mainly, Fear Itself is designed to function as the next big thing for Marvel's two movie titans of the summer, Captain America and Thor. It's an odd blend that never really gels due to the lack of basis in the histories of these characters leading up to this year. Heck, remember when several characters got the power of the Juggernaut a few years back ("The Eighth Day")? I guess that event wasn't big enough or remarkable enough, so Marvel's doing it again, this time with magical hammers like Thor. And they're giving characters nobody cares about these hammers just to throw a spotlight on them and show fans they haven't forgotten about them. And look! There's the Hulk! And the Thing! And yep, Juggernaut, too! No psychological underpinnings in the main series. All action, action, action. No pathos. Tony Stark drinks again so he can make a deal with Odin? I can't be compelled to care. Yes, I'm reading the main series, and I'm also picking up The Deep, Alpha Flight, Spider-Man, and whatever Hulk appearances are out there, including the forthcoming Hulk Vs. Dracula story. I'm also picking up the series I read anyway that just happen to have the crossover run through it. But I'm not going out of my way and picking up a lot of series to get the "full scope" of the event. I know better. Besides, my pocketbook would probably come to life and kill me if I did. What is the point of these teases? "It's either in you or it's not." Of all the words in the five images, what word occurs in almost every one? That's easy: "Defender." 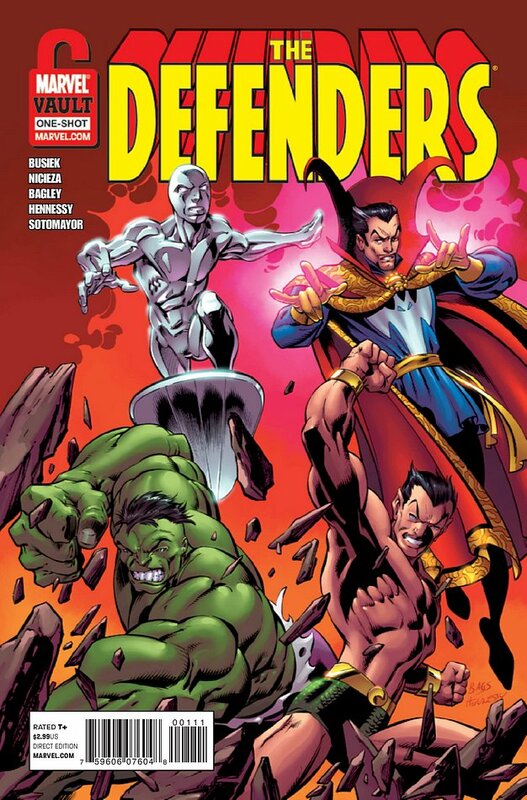 As in, the Defenders, the classic non-team originally comprised of Dr. Strange, the Sub-Mariner, the Hulk, and the Silver Surfer. 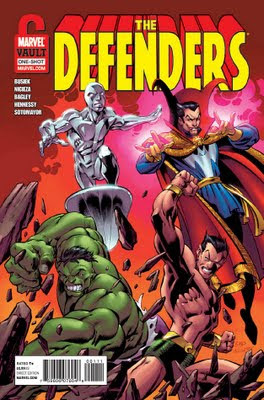 Intriguingly, the only image in which the word "Defender" does not appear is the Hulk! 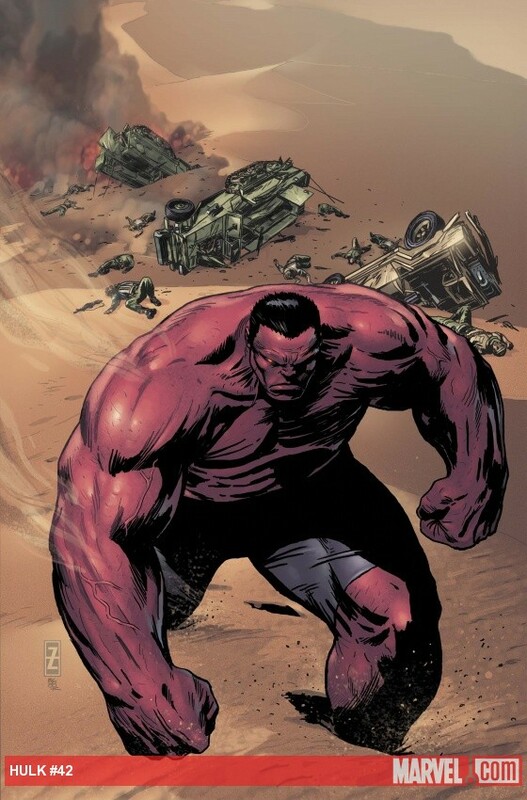 His image contains the word "Offender" instead, which conjures memories of Jeph Loeb & Ed McGuinness' Defenders revival during the current Hulk series, in which the Red Hulk assembled a group of evildoers called, yup, the Offenders. Is Marvel trying to make the Hulk go bad? It would make sense if the rumors we've heard about the "Avengers" movie were true, that the Hulk is being set up as the big bad guy for the film. But even that doesn't make sense. 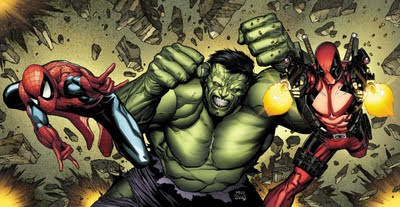 The Hulk, if anything, is Marvel's poster child for being misunderstood and engaging in fights with other heroes based on little to no provocation. Even World War Hulk featured a Hulk full of righteous indignation at the Illuminati who dared to exile him into space. Maybe they weren't directly responsible for the death of a million Sakaarians, but if they hadn't exiled him, none of what happened would ever have occurred. 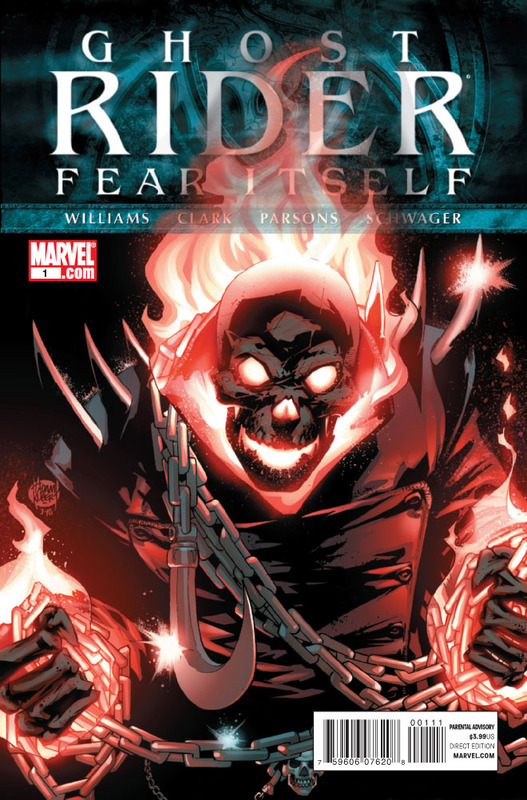 Even the few other times the Hulk might have been classified a "villain" in the mainstream 616 are few and far between, from his time in "Ghost of the Future" masquerading as the Maestro; to Apocalypse's selecting him to be his Horseman, War; to the actual Maestro; to today's Fear Itself event. We might as well start asking now what happens at the end of Fear Itself to trigger a fight between a new team of Mighty Defenders and The Strongest One There Is. What the heck does "Onyx" have to do with the Hulk, anyway? More thoughts soon. What d'you think, sirs? 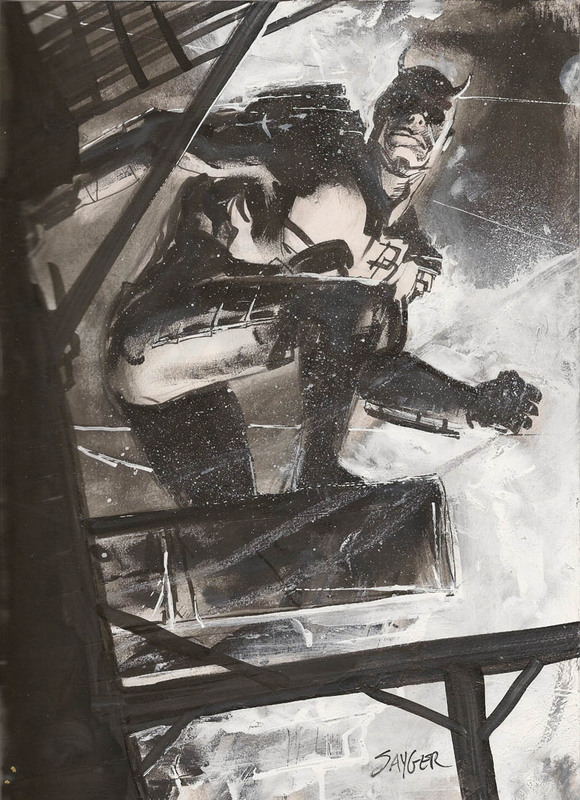 While I'm prepping some new articles of real industry relevance--a review of one of Gene Colan's seldom-seen works and an essay about the perils of too much continuity--I thought I'd shoot you a few quick reviews of books that came out last month. You'll also see a full review of the Spider-Man/Deadpool/Hulk crossover "Identity Wars" this week! As previously indicated with my "Quick Reviews" segments, expect the below books to be rated Buy It, Read It, Skip It and Burn It. 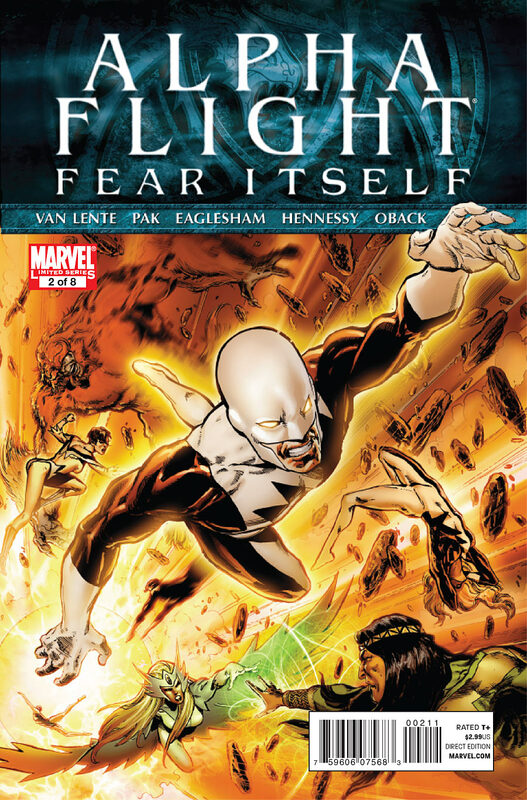 Last month,we saw the first effort of Herc co-writers Fred Van Lente and Greg Pak on Canada's premier super-team in Alpha Flight #0.1. That story (reviewed here) ably demonstrated their mastery of the team's history and powers. This story, "Pride of a Nation," wastes no time in upsetting the applecart, using an important foe from Alpha's past to bring forward a change in the status quo while at the same time making the saga fall in line with Marvel's summer "Fear Itself" event. Attuma of Atlantis, who thanks to the aforementioned event has become Nerkkod, Breaker of Oceans, attacks Canada and Alpha Flight is there to fight him back. While it appears Attuma is everywhere during the event (he also is the main villain in Fear Itself: The Deep), his presence here makes sense to longtime Alpha Flight fans as he figured into a major storyline involving Marrina, a member that appears here. At the same time, the continuity is not so obtrusive as to take away from the story's momentum. 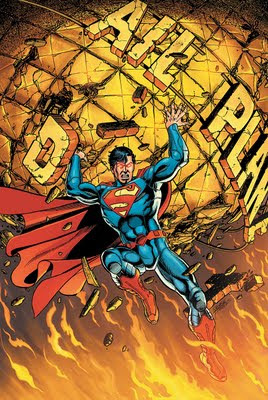 Pak and Van Lente keep the pace brisk, using Attuma's attack to both further demonstrate the team's dynamics and set up the major conflict that will last through the remainder of the series, namely Prime Minister Cody's enaction of the Emergencies Act. While the story is well told, building to a quite unforeseen conclusion that will require some explanation, it's in the art that the book shines. I've long enjoyed Dale Eaglesham's artwork, and he's in fine form here, right at home drawing characters from his native land of Canada. His depictions of all the main characters are spot-on, and I particularly enjoyed seeing his takes on Sasquatch and Marrina (the latter of whom has been gone far, far too long). Overall, Alpha Flight is off to a fine start, and I can't wait for next month. I'm trying not to be overly enthusiastic, but the team really is hitting all the right notes from the start, and as a result, I strongly suggest you Buy It. If I didn't know any better, I'd swear we were getting a Ka-Zar miniseries and not one featuring the son of the incredible Hulk here. In virtually every issue of the series so far, I've been of this opinion, and that hasn't changed here. In fact, the entire introduction here--the first six pages--are wholly devoted to Kevin Plunder the jungle lord, and much of the issue's ending involves his possessed wife, Shanna, and Ka-Zar himself, with Skaar only playing a bit part in the middle, when he discovers a secret, heretofore lost society alongside Ka-Zar's son Matthew, who often acts more maturely than the titular character. The other guest stars, including Devil Dinosaur, Moon Boy, Phantom Eagle and an older Kid Colt, are similarly relegated to bit-part status, sticking around only long enough for us to be reminded they're in the story at all. And with other guest-stars peppering the story and more apparently involved in next month's conclusion, I'm afraid Skaar will be crammed out of that tale as well. Try as he might, writer Rob Williams can't write Skaar as anything more than a bit player in a drama that is all about Ka-Zar and the newfound problems in the Savage Land, and that's the series' biggest problem. The script is capable, but as stated before, this series has really been a Savage Land story guest starring numerous unrelated characters for shock value. The tale's sole saving grace has been Brian Ching's inspiring figure artwork, as he loves, and I do mean loves, to draw dinosaurs. Unfortunately, that means he skimps on backgrounds, with page after page having computer-colored/Photoshopped vistas that easily distract from the story being told. 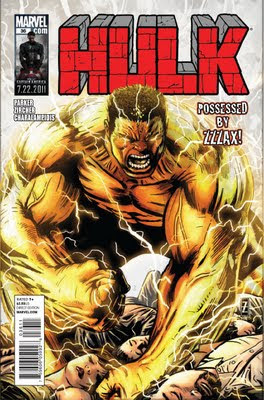 If this series proves one thing, it's that Greg Pak's special touch allowed Skaar to prosper during the last two years, first in his own series and recently in Incredible Hulks. Without his vision, and surrounded by the overwhelming character of the Savage Land, he's just one more generic character in Marvel's tapestry of wild men. While this series started off on solid footing, it headed at increasing speed for a cliff, and now it's jumped off. Proceed at your own risk. Or, in words I thought I'd never have to say during a review, Burn It.